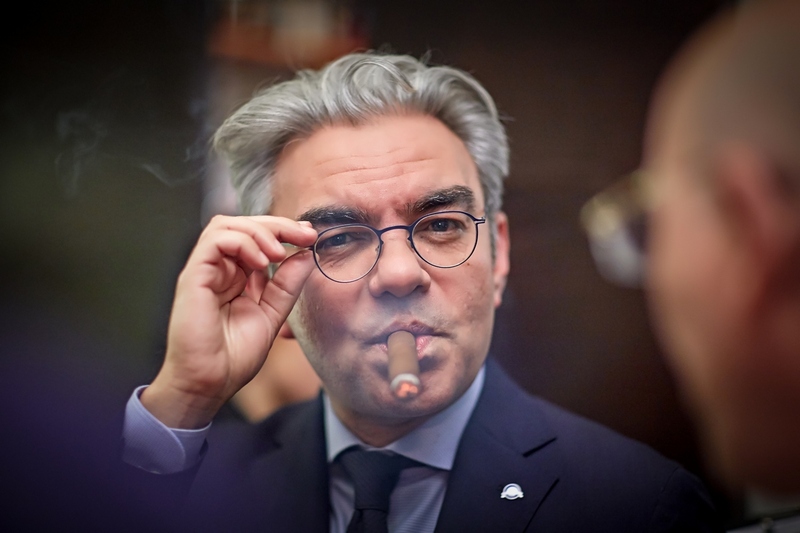 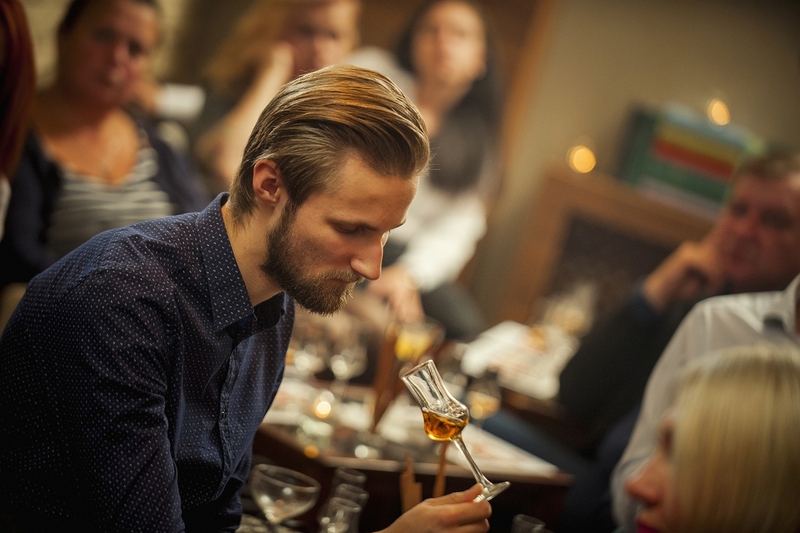 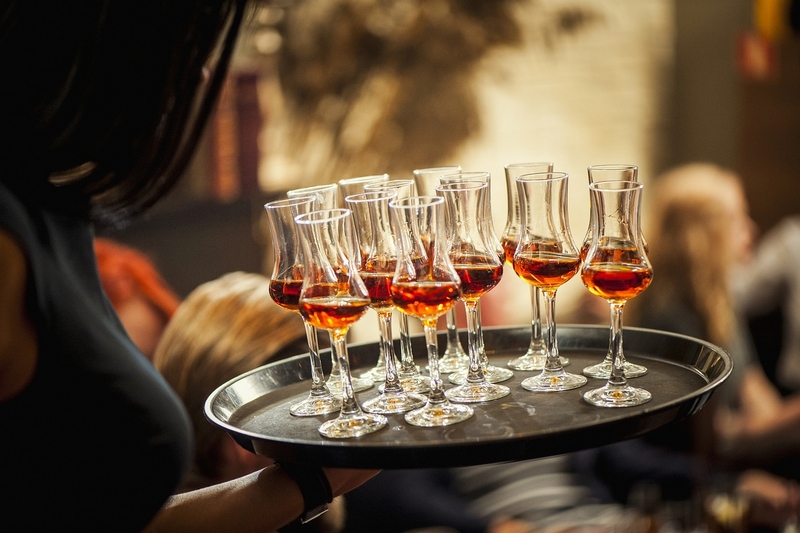 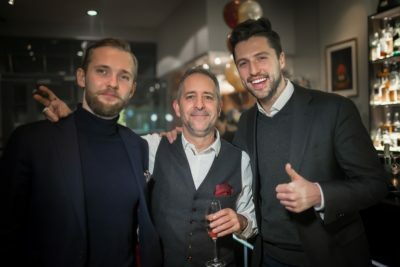 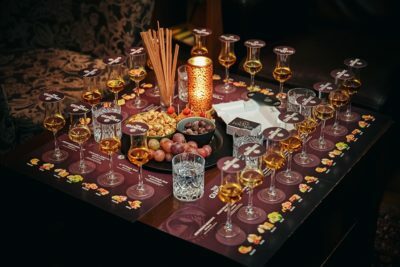 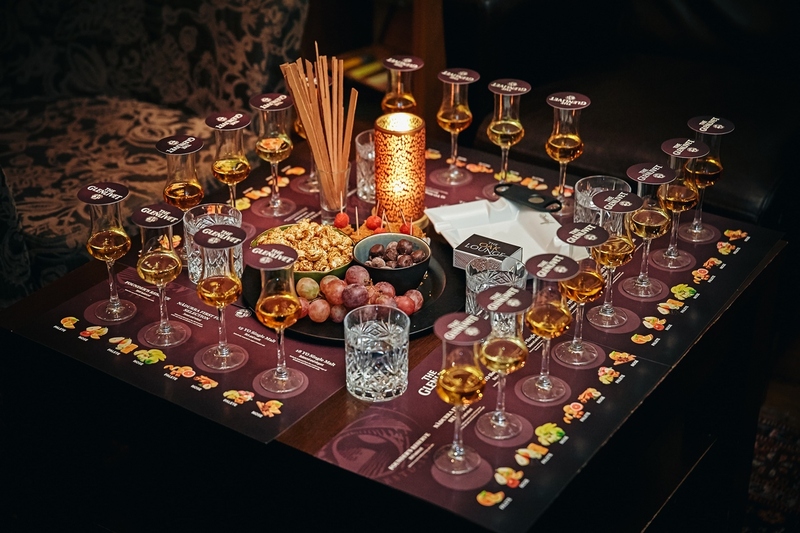 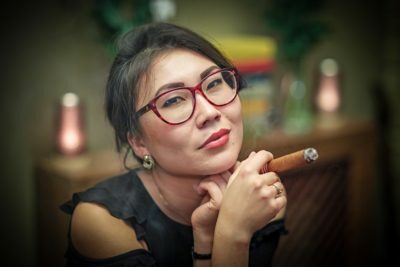 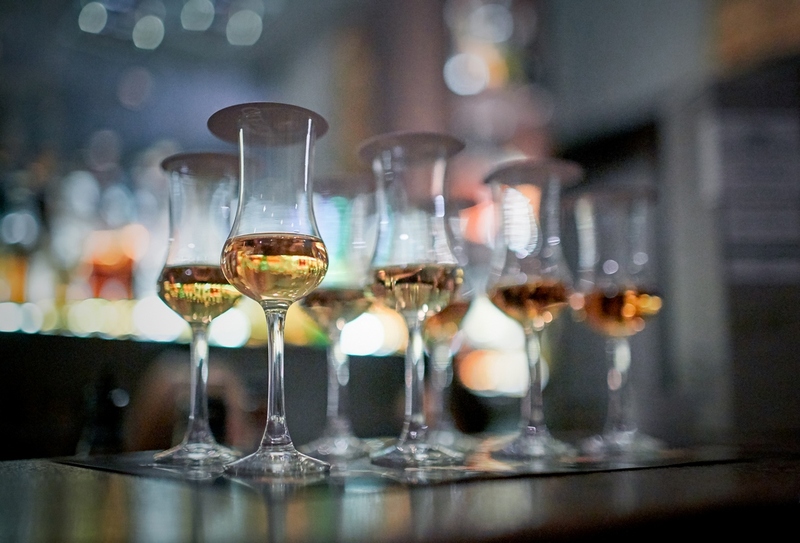 The Oak Lounge Riga – Cigars and whiskies of the world! 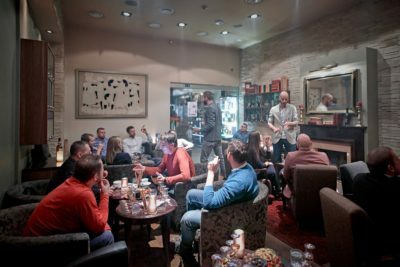 The Oak Lounge whisky bar and smoking lounge is the best place in Riga to buy and enjoy cigars, along with a great selection of whiskies at our and other fine spirits. 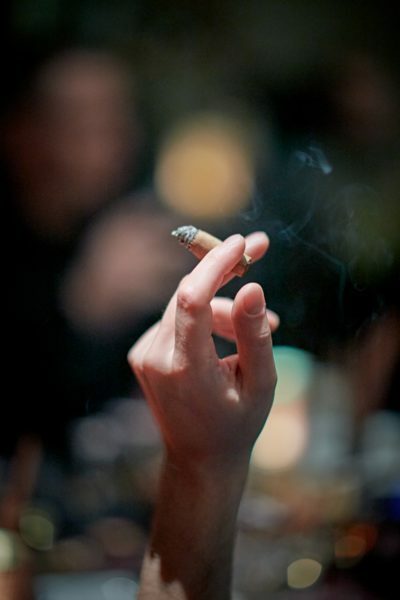 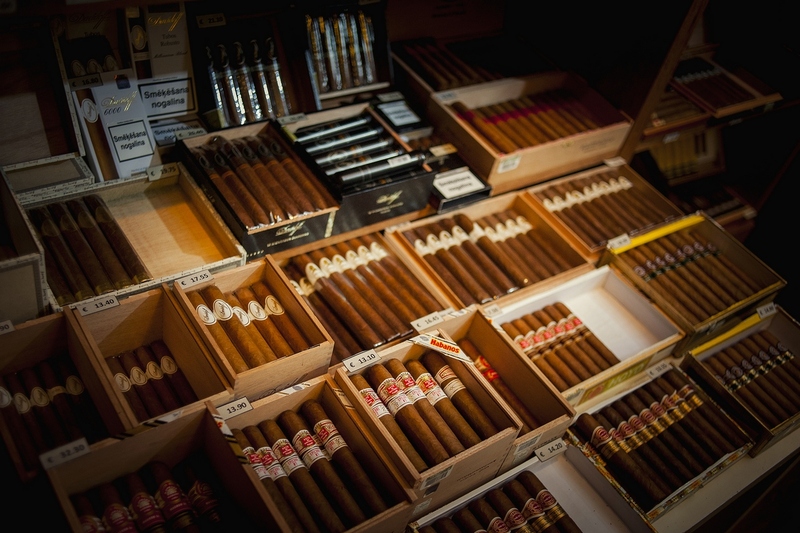 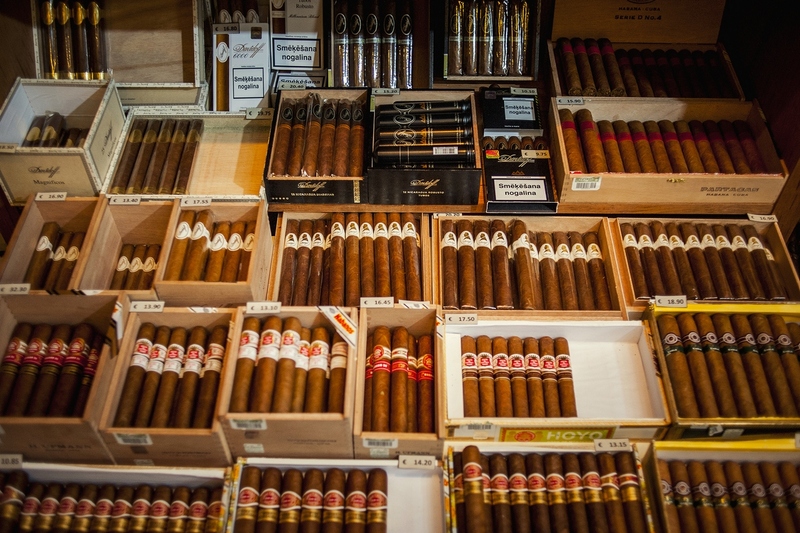 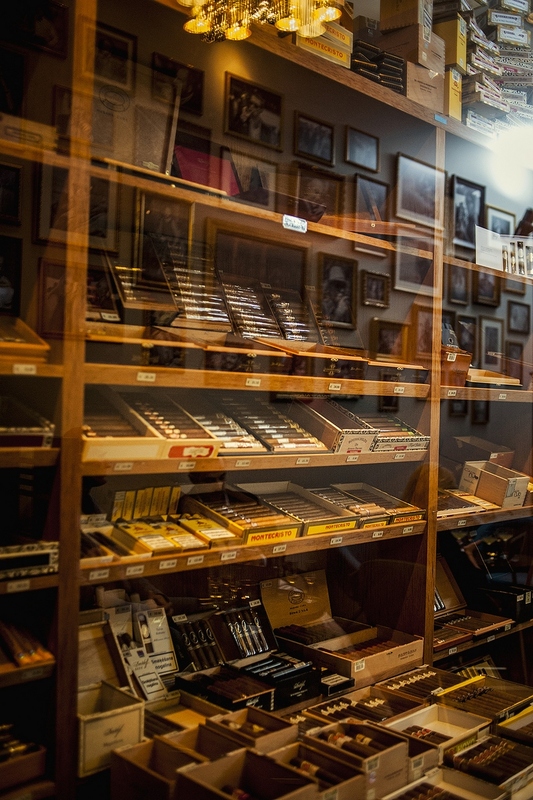 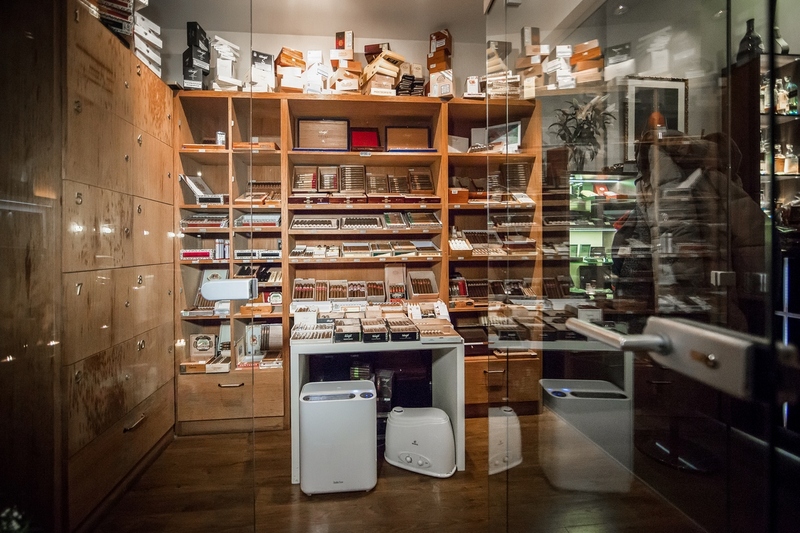 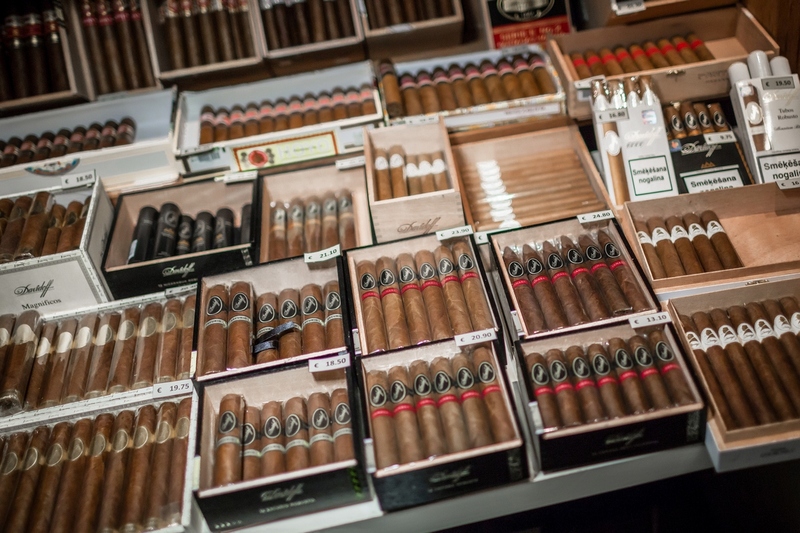 We carry the widest selection of cigars in Latvia. 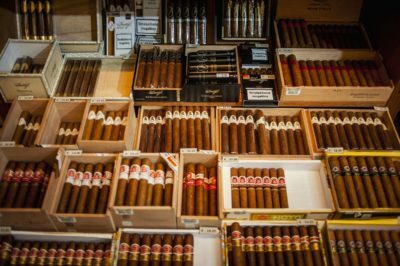 You will find over 150 different cigars for purchase that come in different varieties of taste, intensity and smoking time. 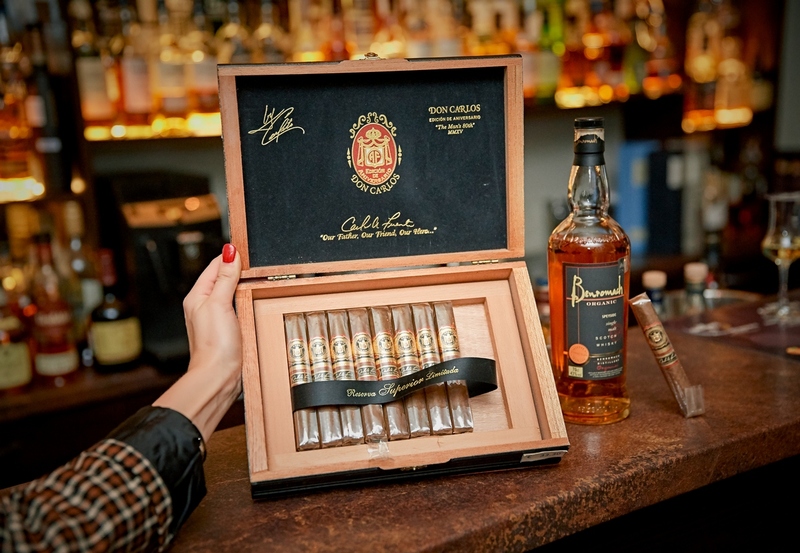 Clients can either purchase the cigars to go, or – better yet – make use of our great bar and smoking lounge. 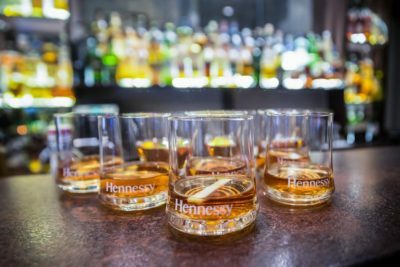 At our bar we offer more than 130 different whiskies from all over the world, and a range of fine spirits, port wines, wines, champagnes. Great drinks and service, good music, and always nice company – your time here will be beautifully spent. We have regular cigar and whisky tastings, please leave your e-mail below to get the latest updates on events, promotions and new products. 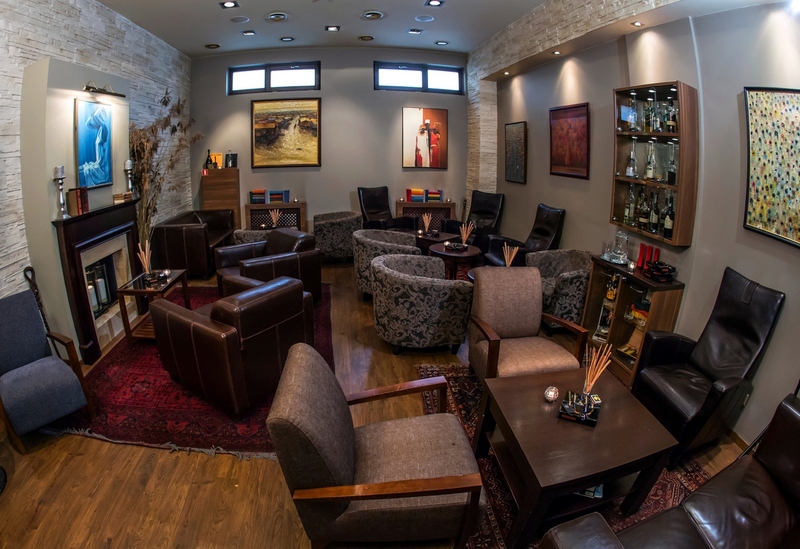 Sit back and enjoy a nice drink or a cigar in The Oak Lounge’s whisky bar and smoking lounge. 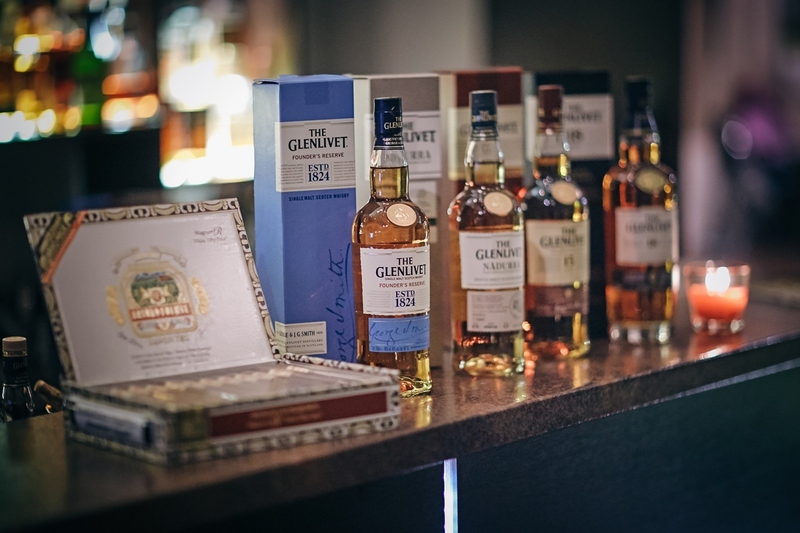 We have an ever-growing variety of more than 130 whiskies and 150 cigars. 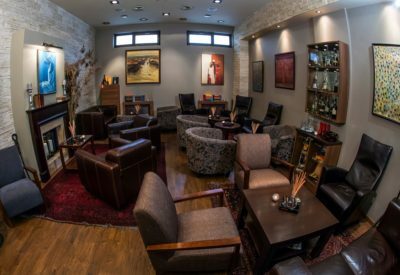 It’s a great place for meeting with a business partner during the day, relaxing after work or having drinks before or after dinner. 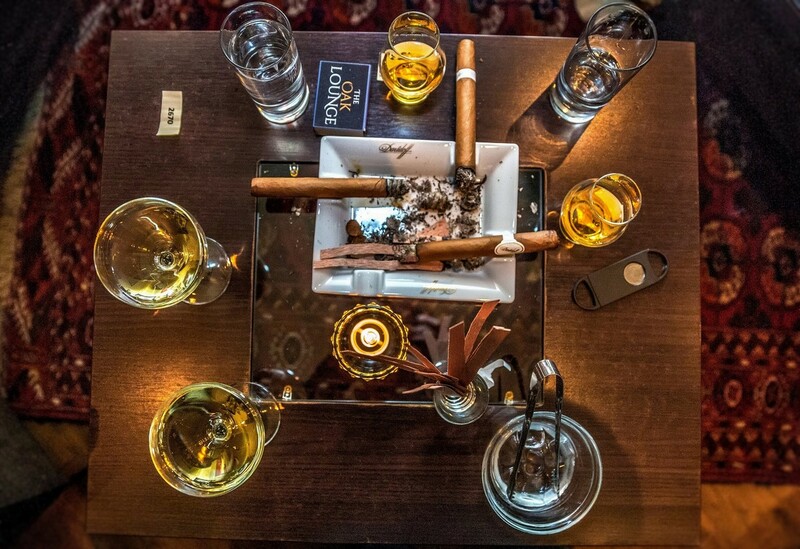 Friendly and comfortable atmosphere with good drinks, good music and good company make it the perfect place to enjoy your cigar. We are especially proud of our whisky selection and our staff is always happy to recommend a new whisky to try. 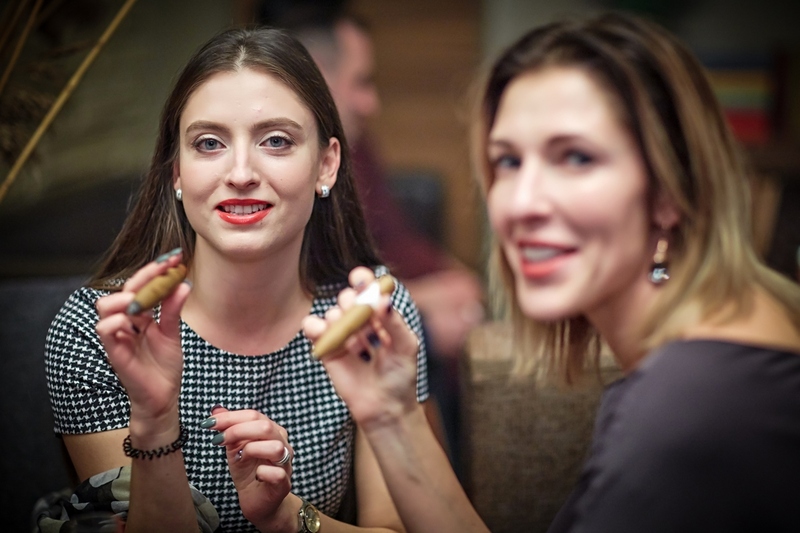 Of course, there are cocktails and champagne for the ladies as well. The Oak Lounge is a great place to host your private event or meeting. Take advantage of our private atmosphere, central location, professional service and a great choice of drinks and cigars. 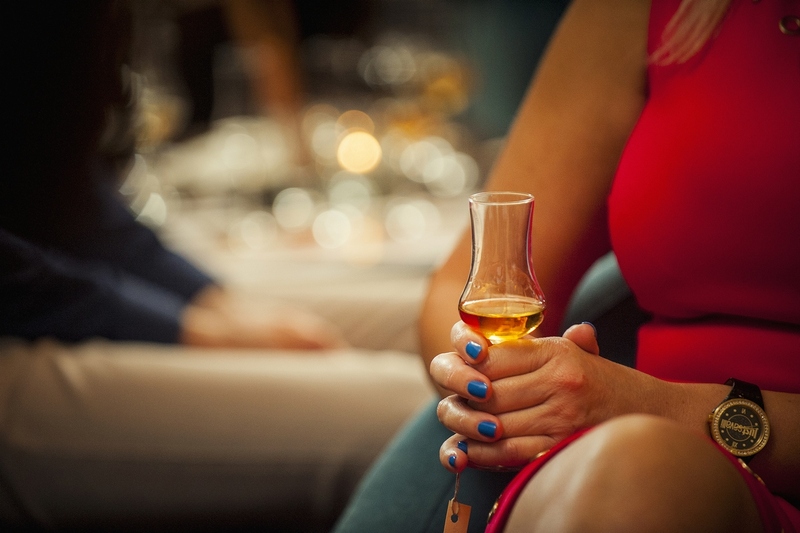 You can reserve the lounge for a business meeting or a private party, for an hour or a whole evening. 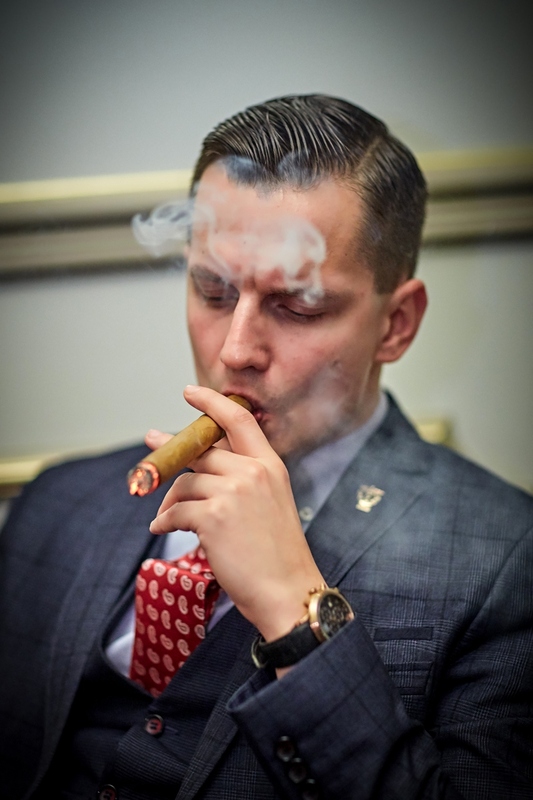 If you are interested in learning more about cigars and cigar smoking, we will arrange a cigar training for your group as part of the event. 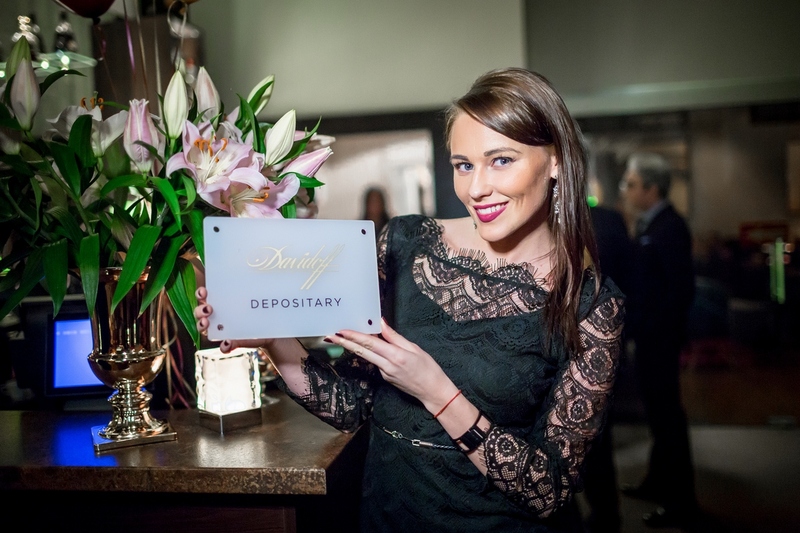 Please call us at (+371) 6733 8787 to set up your private event or to get more information. 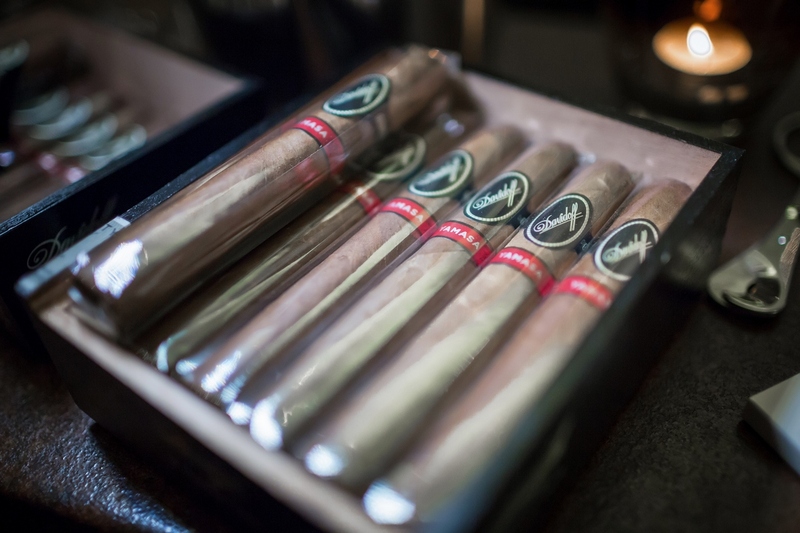 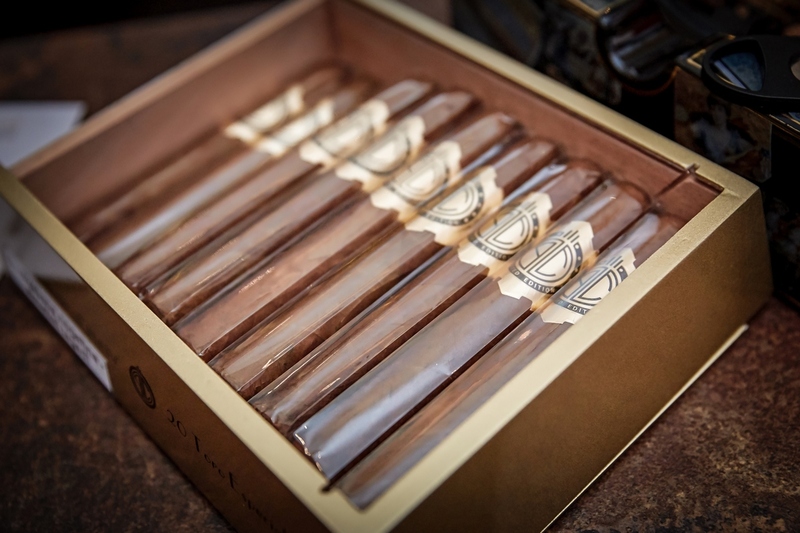 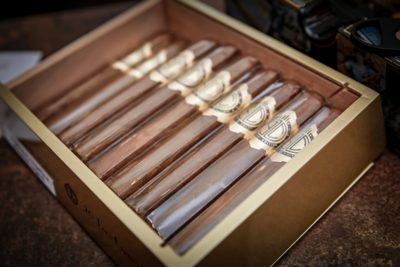 If you are organizing an event and want to make it even better by offering your guests premium cigars, The Oak Lounge is the place to come to! We will help you choose the best cigars for your party and, in case of a larger event, offer full service at the event venue. That means, one of our great staff will come to your event to set up a cigar table with all the accessories like ashtrays, lighters, cutters and to serve your guests during the evening, telling them about the cigars and making sure everybody can light up and enjoy. Please call us at (+371) 6733 8787 to find out more.